Poll: How did ACW Live Light Up Your Life? 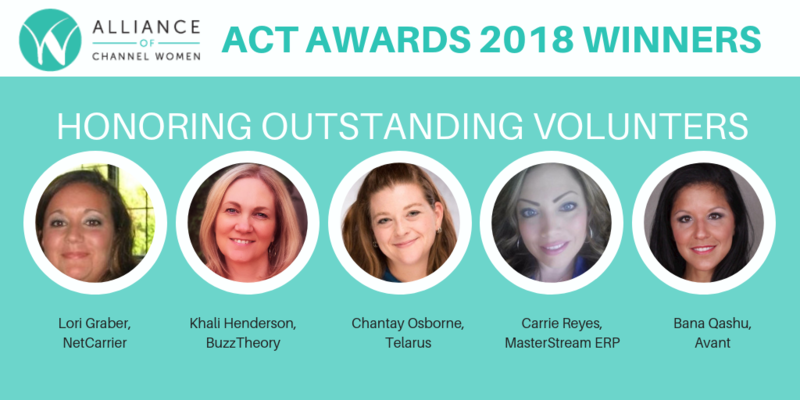 SANTA ANA, Calif., October 30, 2018 – Alliance of Channel Women, a not-for-profit organization dedicated to accelerating the growth of female leaders in the technology channel, thanks its outstanding volunteers with the inaugural ACT Awards. Five ACW members were honored at a ceremony during the 16th Alliance of Channel Women ACWConnect Live! Networking Event, from 5-8 p.m., October 9, in Philadelphia during Channel Partners Evolution. Founded in 2010, the Alliance of Channel Women (formerly Women in the Channel) is a not-for-profit organization of women in the indirect sales channel of the telecom and IT industry. The Alliance of Channel Women brings us together to empower and advance women’s careers and leadership roles in the technology channel through education, community, advocacy and opportunities for personal growth. To learn more and to become a member, please visit www.allianceofchannelwomen.org.